Four hundred of the most popular lipsticks in the U.S. contain traces of lead when recently tested by federal health authorities, and the latest results indicated higher levels of lead on a significantly wider scale of cosmetics than previously detected. L'Oréal USA’s Maybelline lipstick contained the highest concentration of lead at 7.19 parts per million, according to the analysis by the Food and Drug Administration. The FDA indicated that the top 10 most contaminated products included five L'Oréal USA-owned L’Oreal and Maybelline lipsticks, two Cover Girl lipsticks, as well as two NARS and a Stargazer lipstick. Surprisingly, test results indicated that the cheapest of the 400 lipsticks, Wet N' Wild Bahama Mama, also had the lowest lead levels. 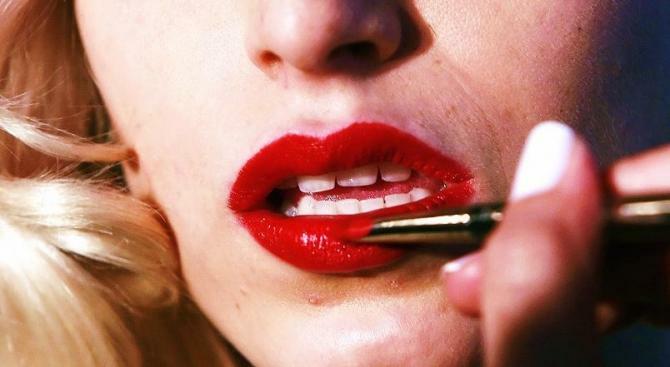 Consumer group, Campaign for Safe Cosmetics, has long been pushing for more government-imposed limits for lead levels in lipstick, but the FDA has resisted many times and insisted that the lead concentrations detected in the agency tests do not pose safety risk. However consumer groups said that the FDA had not backed their conclusion with scientific evidence. The recent findings have shown that the average amount of lead in lipstick has doubled compared to FDA’s last investigation in 2007, but the federal agency continues to maintain its original stance that the lead content found in lipstick does not pose a safety concern, according to FDA’s latest reports. Lead has banned in paint in 1978 because of its toxicity at low levels, and is also regulated in children’s products which cannot contain more than 100 parts per million of lead. The Centers for Disease Control and Prevention said that there is no safe blood level of lead for children and pregnant women, and identified imported cosmetics as a risk factor for lead exposure in pregnant and lactating women. In a letter to the FDA, the cosmetic consumer group asked the federal agency earlier this month to recommend an upper limit for lead in lipstick to protect consumers from unnecessary lead exposures. Lead has been reported in lipstick since the 1990s when concerns were raised about commercial laboratory test results, and in 2007 the Campaign for Safe Cosmetics tested 33 red lipsticks and found that two-thirds of them contained lead, and a third of the tested lipsticks surpassed the FDA’s limit for lead in candy set at 0.1 parts per million. Although the FDA had followed up by testing 20 lipsticks in 2008 and then 400 in their most recent analysis and detected lead levels in all the products it tests, the agency maintained their opinion and said that comparing lipstick to candy was invalid because candy is intended for ingestion and lipstick is intended for topical use and “ingested in much smaller quantities than candy,” according to the agency’s website. Personal Care Products Council, a trade group that represents the cosmetic industry, agreed with the FDA assessment and a spokesperson had said in 2007, on Campaign for Safe Cosmetics Report on Lead in Lipstick, that “despite the negligible levels of lead found in some lipsticks, cosmetic companies are committed to reducing that level even further”, but the recent FDA results indicate that lead concentrations in lipsticks have actually increased. The highest level of lead at 7.19 parts per million in Maybelline’s Color Sensational “Pink Petal” lipstick, but the average lead concentration found in the FDA’s latest analysis was at 1.11 parts per million, similar to the average from its initial survey of 20 lipsticks in 2008.